When James Skelton, my great-great grandfather, married his first wife, Sarah, in Bermondsey in 1823, three years into the reign of George IV, the couple were not yet in their mid-twenties. They took their oaths at St John’s Church, in the parish of Horsleydown on Tuesday 14th October, after a summer which had been one of the coolest since observations began in 1659. Thanks to the meticulous records of Luke Howard (the ‘godfather of clouds’), we know that their special day was one which was relatively mild for the time of year – dry and sunny, but unmistakeably autumn, with a gentle breeze and a light scattering of yellowing leaves. As they crossed the churchyard, the earth damp under their feet from the previous day’s rain, I hope they paused for a moment and allowed themselves to feel a thrill at being alive at this time and place, unaware that they would have only a limited time together. Despite the old rhyme which says Tuesday for health, their choice of wedding day did not bring longevity. Twenty-five years later, Sarah would be struck down with an undiagnosed womb disease after raising their five children, precipitating a crisis that sent James in search of ‘fulfilment’ elsewhere. As I sat with their birth, marriage and death certificates, and those of their children and grandchildren, laid out before me like some macabre game of Happy Families, I felt privy to a horrible secret, imagining them arriving at St John’s, all nervous excitement, without knowing what was in store for them. But on that mild Tuesday in 1823, the church was only ninety years old and yet to be hit by a bomb from the air in an unimaginable future war. 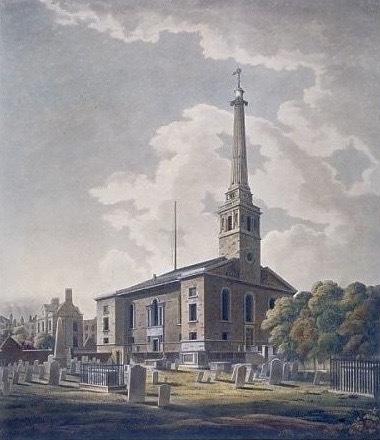 To James and Sarah, the Hawksmoor church already seemed like an antiquity. It had become a joke on account of its strange weathervane. This huge iron construction was meant to represent a comet whizzing through the heavens but it reminded the parishioners of the wriggling body of a louse. 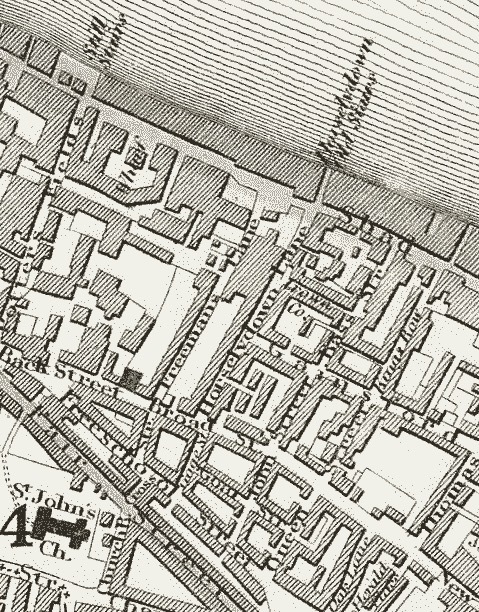 Locally, the church was often referred to as ‘St John’s Lousydown’, or simply ‘The Louse Church’. No doubt James and Sarah found it amusing because – like everyone then – they would have been familiar with the common problem of body lice. But to a traveller from the twenty-first century it requires a leap of imagination to morph the iron ‘comet’ into the legs and body of a parasite they have rarely encountered. Walking through the churchyard today, all that remains of St John’s are the foundations and crypt, controversially built over in the seventies and used as offices by the London City Mission. The graveyard is now a dreary public park, frequented by dog walkers and pram-pushing mothers, while the last remaining headstones lean forlornly against the foundations of the church. Whenever I imagine Sarah and James walking up the wide stone steps of the church, I cannot help but see them in typical late-regency outfits: Sarah in a fashionably high-waisted dress with bonnet, gloves and shawl – James in a smart dark dress coat and waistcoat, his legs encased in the new style of long trousers (all of which he probably made himself) and his youthful hair covered with a top hat made by a Bermondsey hatter. Sarah congratulated herself on marrying a smart young man who knew the cut of cloth and had attained the rank of a master tailor, thus giving him the freedom to set up his own business and take on apprentices. Tailoring was a common profession at the time, with most based in the communities they served. Notions of separating work from home were new and, like many skilled artisans, records show James lived over the shop. The whole family were involved in the business, from running messages to greeting customers, and their young domestic servant would have provided much-needed help for Sarah – especially once the babies came along. This spot by the Thames was where the family lived for twenty years before their move out of an increasingly-industrialised Bermondsey to the more genteel semi-rural suburb of Brixton in the eighteen-forties. As soon as I discovered the existence of these forebears, I set off to visit the evocatively-sounding Horsleydown Lane to see if I could discover any traces of their old neighbourhood for myself. This was the first time I had been in the capital to do any fieldwork since my last foray to South London in 1992. I knew that Horsleydown Lane still existed but I had no idea of what it would look like in the twenty-first century. It is a strange feeling to walk through streets where your ancestors once set foot, moving ever closer to the place where – for better or worse – they carved out a living. 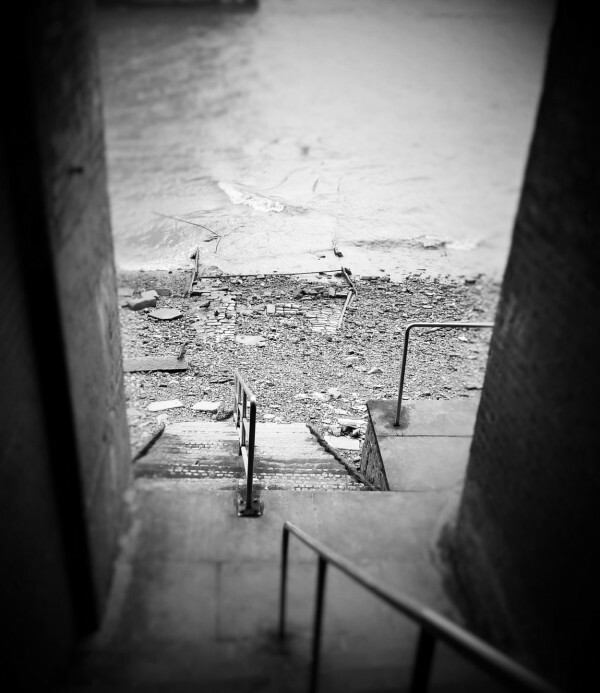 In Horsleydown, some things have not changed – the old watermen’s stairs at the foot of the lane where the Thames covered and uncovered the slipway twice a day, the glimpse of the imposing White Tower from that spot and the Anchor Tap which still has beer on tap. Yet many things had changed too and I was disappointed that so much from that time had gone, but I was delighted to come across some unexpected tangible reminders of the family’s life. The cobblestones on Horsleydown Lane continued to reverberate with the clatter of the drayhorses and their wagons from the Anchor Brewery until the final demise of workhorses in the mid-twentieth century. Nowadays, Horsleydown Lane is relatively quiet, as visitors tend not to stray much from Shad Thames and the prevailing sound is the thrum of traffic on Tower Bridge Rd. 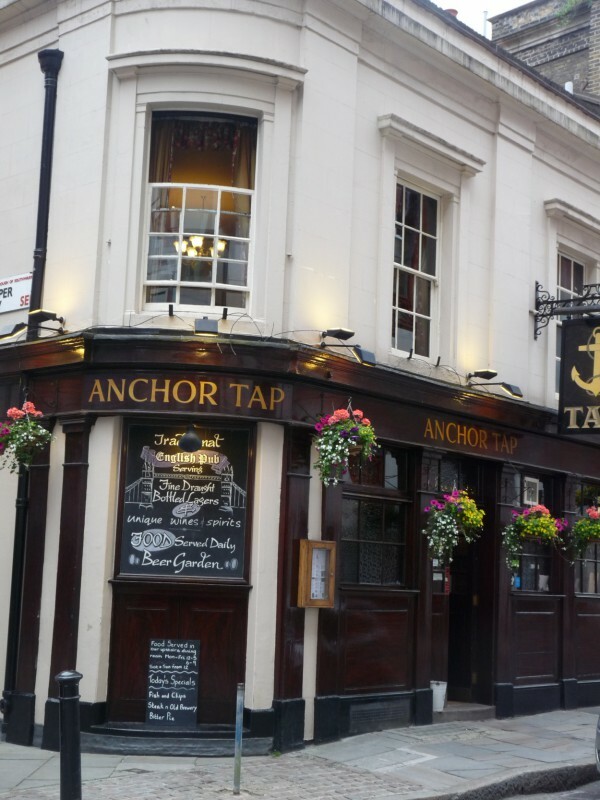 Popping into the Anchor Tap for an impulsive mid-afternoon pint, I grew even more confused – time seemed to telescope as I stepped through a series of interlinking rooms. The barman encouraged me to look around the place, intrigued by my genealogical search. As I wandered through the pleasing muddle of spaces and headed up the narrow twisting staircase towards the deserted dining room, I experienced the sensation of walking in my ancestors’ footsteps. All at once I realised that they might also have struggled with the demands of such steep stairs too. Walking out of the dark pub afterwards, I blinked and narrowed my eyes in the bright spring sunshine. For a moment, I could imagine that I have stepped into the bustling street of the eighteen-thirties. I sat watching the Thames as it surged and swirled, past the neo-gothic wonder of Tower Bridge. The thought occurred to me that I myself was like a ghost – a ghost from the future trying to find a way back into the past. Then suddenly it struck me that the Tower of London, partially seen from those algae-covered steps, has not changed over the years that separated me from my ancestors. My great-great grandfather, James, waited on this same slippery spot for a penny ride over the river from a waterman. He also felt in awe of the ancient building across the water that symbolised the power of the city he now called home. He knew the same legend about the ravens and passed it on to his children – in the same way my father had told me the story as a child. At that moment, I felt the centuries roll back to connect us. Beautifully written. I can never explain even just the feeling of being in the air and sound of London. My ancestors and family married in synagogues and Catholic Churches and worked on the docks and ships and tugs and were part of my growing up in the East End. Like my grandparents, parents and even Great Grandparents, playing by the Thames watching ships unload. I worked from the age of 16 in Westminster. The historical detail. But now, fifty years later, I have to travel to London to stand in the silence of the early hours, for feel of the air and the sound. And my soul tells me I am at home. How does one explain that! Interesting that you say 1823 was one of the coolest summers in memory. You may be familiar that a few years earlier in 1816 it is known as ‘the year without summer’ due to the cold temperatures experienced across Europe throughout the summer months. This is thought to be due to a huge volcanic eruption on Mount Tambora which sent huge amounts of debris into the atmosphere and it’s layer of sulphur is thought to have covered the earth with a screen blocking the sun’s rays. History shows that crops failed across the earth and famine and disease follow globally in the years thereafter. It would be interesting to know if your ancestors cold wedding day was still due to this phenomenon. Very interesting and enjoyable blog by the way, keep up the good work. I want to know more about the story of your ancestors, especially Sarah. Also I know the stairs in the Anchor Tap. 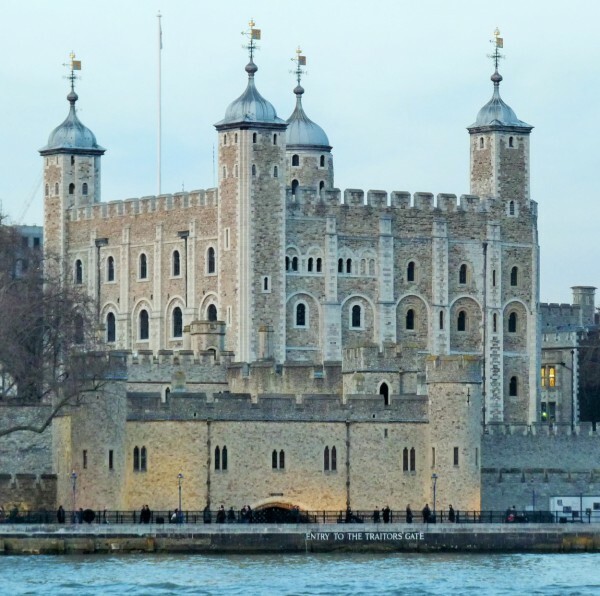 I visited there in the summer after seeing Alleluia at the Bridge Theatre. Vertiginous.